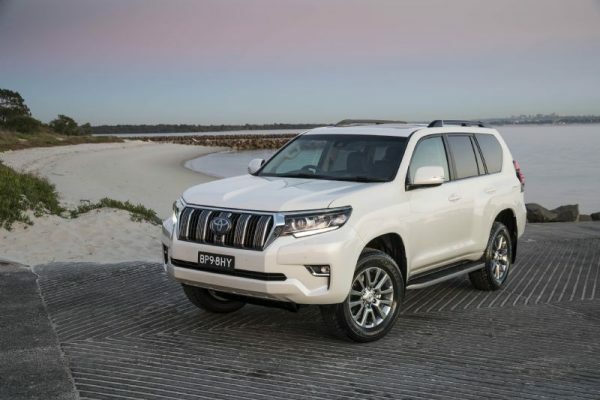 Toyota has conjured some extra magic from its top-selling LandCruiser Prado range by offering to make the spare wheel and tyre “disappear”. 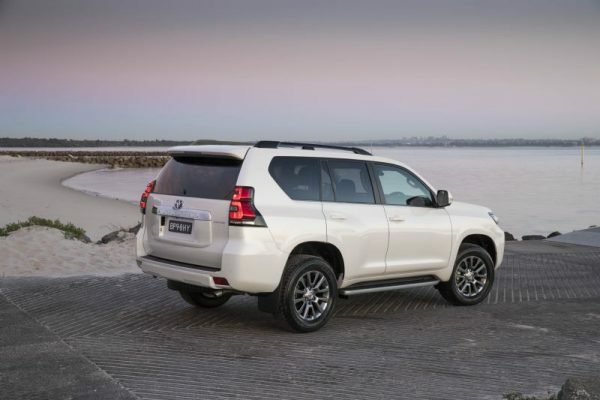 For 22 years since the first Prado arrived in Australia, Toyota has sold the premium large SUV with the covered spare proudly mounted on the tailgate – and it continues to offer this configuration. But, for the first time, Toyota is now offering consumers the no-cost option of having the spare wheel and tyre stowed underneath their Prado rather than on the tailgate. Moving the “fifth wheel” results in a tailgate that is lighter and therefore easier to open, especially when the vehicle is parked facing down a hill. Convenience is further enhanced by a glass hatch that opens independently of the tailgate to provide easy access to the spacious luggage area. Toyota’s move to introduce the relocated-spare option for automatic GXL, VX and Sahara variants follows successful special-edition models with this configuration in 2014, 2015 and 2017. The new variants retain Prado’s 87-litre fuel tank which offers a driving range of more than 1,000km*, giving customers a clear choice as the relocated spare replaces a second, smaller fuel tank. Other features include seven seats, three-zone climate control, collision warning with pedestrian detection#, autonomous emergency braking, active cruise control, lane departure alert and a new diesel particulate filter switch. Additionally, Prado GXL automatic variants can now be specified with a premium leather-accented interior as a $3,500 option. The upgraded interior comes with ventilated front seats that are power operated (ten-way for the driver, four-way for the passenger). First and second-row seats are heated. Toyota’s vice president sales and marketing Sean Hanley said the company respected Prado’s winning formula, but flexibility for customers was paramount in giving them the choice of spare-wheel location. “The success of the special-edition models confirmed there was healthy demand for the relocated spare, particularly among buyers who don’t necessarily require the extended range offered by the extra fuel tank,” Mr Hanley said. “Prado buyers, particularly those who drive mainly around town, will appreciate being able to open the tailgate wider in cramped situations such as when parked close to other vehicles or using a towing hitch,” he said. Cumulative sales of Prado have topped 280,000 since the first one arrived in 1996. It has been the best-selling vehicle in its segment for eight of the past 10 years. So far this year, Prado sales have risen 7.1 per cent compared with the same period last year. Equipped with constant four-wheel drive, Prado is powered by a high-torque 2.8-litre four-cylinder turbo-diesel engine generating 450Nm of torque from 1600rpm all the way to 2400rpm (420Nm @ 1400-2600rpm in manual guise). The entire Prado range is covered by Toyota Service Advantage, capped at $240^ for each of up to six standard scheduled services.